Bacon. One could argue it makes everything better. Including alcohol? Of course! You can easily infuse spirits with the flavor of bacon through a technique called fat washing. The honeyed sweetness of good ol' bourbon just happens to go particularly well with bacon, making bacon bourbon a heaven-in-your-mouth pairing. Can't wait to try it? 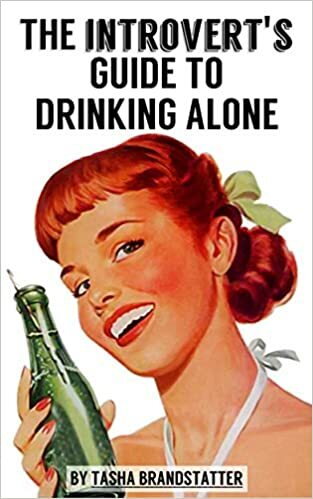 Here's the recipe from my upcoming book, The Introvert's Guide to Drinking Alone, available June 27th! Four slices of thick, quality smoked bacon. Fry the bacon. Eat it. Save the bacon fat (around ¼ cup). Once the fat is slightly cooled, combine it with the bourbon in an airtight container. Something with straight sides is highly recommended. Remove solidified fat and save for anything requiring bourbon bacon butter. Mmmm. Strain the bourbon through either several layers of cheesecloth or a coffee filter (this takes forever, so put your patience cap on) into a clean bottle. Can be stored at room temp for up to six months before turning rancid. 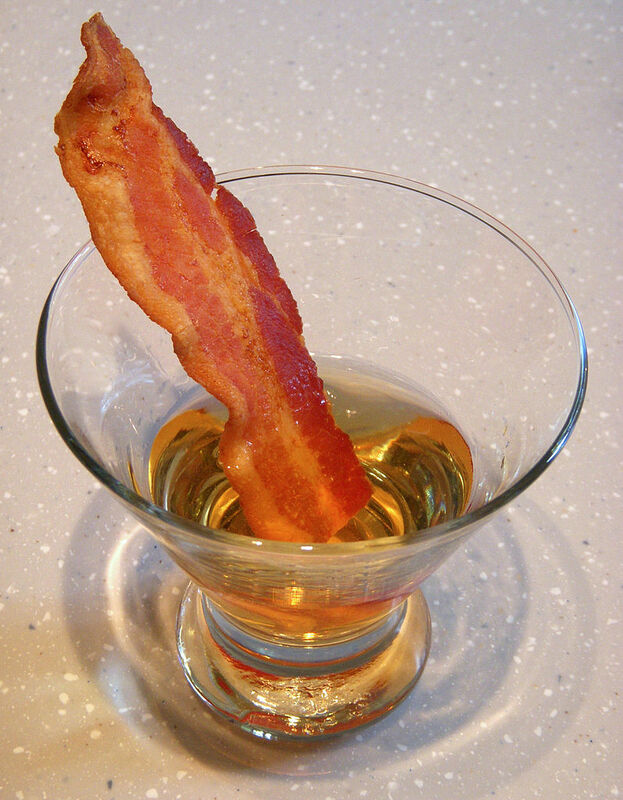 Looking for some cocktail recipes for your amazing bacon bourbon? Check out this post at Bacon Today. And don't forget you can infuse more than just bourbon with bacon. For example, vodka!